We are very proud of our attorneys who are among the top five percent in the state to be named as North Carolina Super Lawyers for 2018! Super Lawyers is a rating service of outstanding lawyers from more than 70 practice areas who have attained a high-degree of peer recognition and professional achievement. The selection process includes independent research, peer nominations and peer evaluations. Ms. Alderman focuses her practice on commercial real estate matters and typically represents local, regional and national retail, residential, restaurant, office and mixed-use development clients in the assemblage, acquisition, development, leasing, financing and disposition of properties. Mr. Godwin’s practice is concentrated in the areas of wealth and transfer tax planning, fiduciary advice, trust and estate disputes and working with owners of closely-held businesses and their families on succession planning matters. 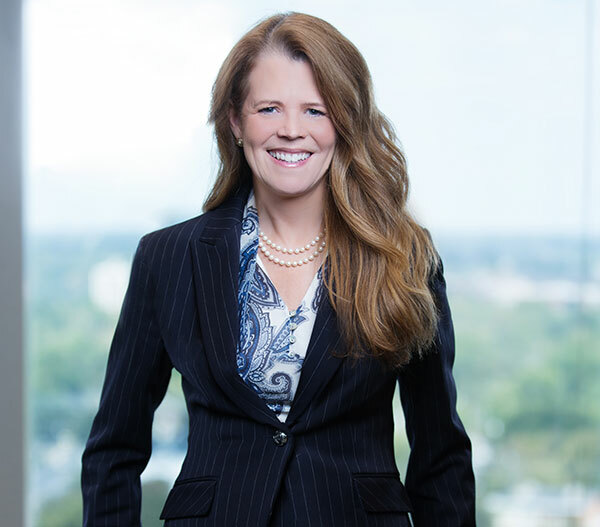 Ms. Koenig counsels clients on issues ranging from simple wills and powers of attorney to very complex estate planning and wealth preservation techniques, including GRATs, LLCs, complex charitable planning, and succession planning for family-owned businesses. In his work with nonprofits Mr. Livingston serves as counsel to a number of large, public charities advising them on tax and governance matters. In his work in estate planning, he focuses on the legal and tax aspects of transactions to implement estate plans, and counsels families on their options to efficiently transition wealth to younger generations while exploring and achieving the family’s philanthropic goals. Rising Stars are chosen by their peers as being among the top up-and-coming lawyers who are under 40 years of age or have been practicing less than ten years. While up to five percent of the lawyers in the state are named to Super Lawyers, no more than 2.5 percent are named to the Rising Stars list. Mr. Haynes is a member of the Schell Bray Real Estate Group and advises his clients in the assemblage, acquisition, disposition, financing, leasing and development of commercial real estate. He is in his fifth year with Schell Bray and was newly named partner in the firm, this is his first year being selected for this honor. Mr. Jenkins is a member of the Schell Bray Business Practice Group and focuses his practice on mergers and acquisitions, venture capital, startups, and general business matters. This is his fourth consecutive year being nominated for this honor.